A new take on the "named card in wallet" plot that makes for the perfect opener. "TOTALLY fooled me. Steve has nailed the 'thought-of-card in envelope' plot. I can't wait to use it!" Brand new from Steve Cook comes ID! If you're looking for a super strong opening effect, your search is over! ID is Steve's take on the "named card in wallet" plot and is perfect for stage, parlor, or close-up. ID is the perfect opener for any show. Imagine opening your wallet and clearly showing a bright red envelope sitting inside. 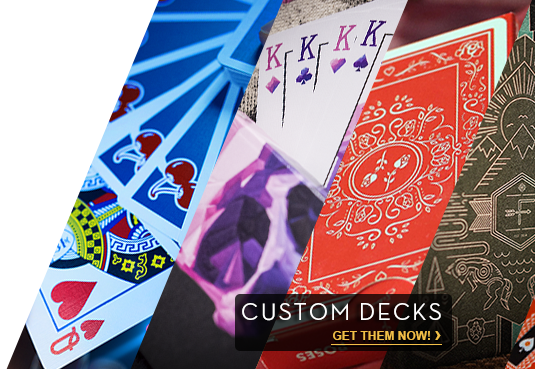 You now have your spectators each take part in the process of creating a playing card. Once the value of the card has been decided upon, you open your wallet, remove the envelope, and from the envelope you remove just one card (back to the audience to build the suspense). Now you slowly turn your card around to blow their minds! ID works awesomely as a prediction effect or as a routine whereby the spectator reads your mind. Everyone who knows Steve Cook's creations, including the best-selling effects Symbol, Volition and The Stealth Case, knows that Steve creates real-world commercial workers with streamlined methods. ID is super easy to do and is perfect as a standalone piece, mind reading or suggestion. It can easily be used as part of a multiple reveal!